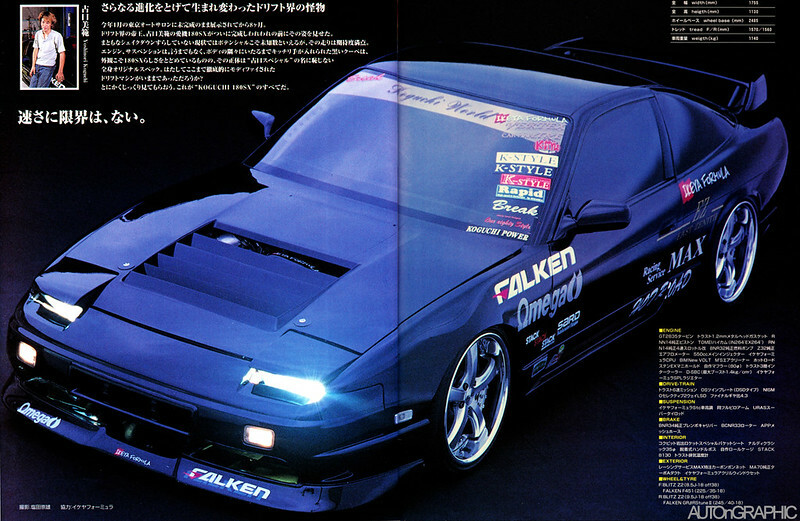 The decisions I have been making around my build this time around have been heavily influenced by cars of the past, primarily the 180SXs of Koguchi and Itai. I’ve been changing my mind constantly through the process about if I want to try to replicate one of these cars more closely than the other, or if I want to try to do my own thing while giving a nod to both of these iconic cars. As soon as I got a hold of the Hot Road aero kit for my car, my plan was to try to replicate Itai as closely as possible. I chose the Hot Road hood because it doesn’t have the “swoosh” at the top of the cowl area like the newer Koguchi Power hoods do. My plan was to fill the two vents near the top of the hood to achieve the look I wanted, but now I think I might leave them. I keep changing my mind about it. I guess I’ll see what the body shop would charge and if they are able to do it. I even went through a phase of wanting to paint my car blue, but I think that phase has run its course for me. The car has always been black and I believe it will stay that way over the years to come. I chose to run OEM mirrors this time around like Koguchi instead of Ganadors. I don’t think many people do this, but I really like the look. I think Hot Road looks better with mirrors that stick out more like OEM and the motorbike mirrors Itai ran. In my initial quest to replicate Itai’s blue machine, I wanted to source a set of 17/18 Bronze TE37s. I became discouraged due to the price and how sought after they are right now and ultimately settled for the Work XT7s that I sold about a week later when I found the 17″ pair of Blitz Techno Speed Z2 like Koguchi’s for sale. I decided on a happy compromise between the two cars- Blitz Z2 like Koguchi in 17/18 specs similar to Itai ran on his machine (Koguchi, of course, ran 18s all around. One other subtle difference is the fact that my Z2s are the darker finish like those found on Nomuken’s R34, where Koguchi’s were the brighter silver finish. I was pleasantly surprised by the darker finish and really like these wheels. My tire sizes ended up being closer to Itai’s than Koguchi’s. 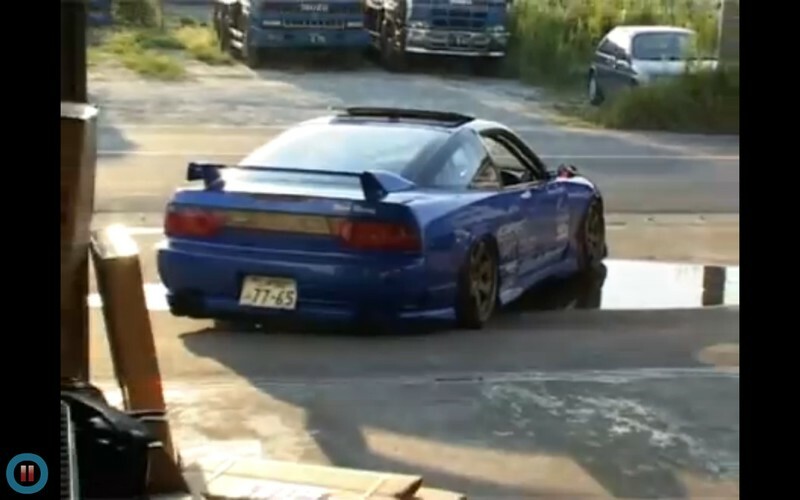 I found a Kakimoto 180SX catback exhaust to attempt to match Itai’s car. I had a Trust DD on my car prior to this after looking at endless photos of Koguchi’s car, but kind of wanted to try a canister-style exhaust again. I like the sound of it, but at times I want another dual tip like the Trust DD. I’ll probably leave it alone for the time being and see what happens down the road. 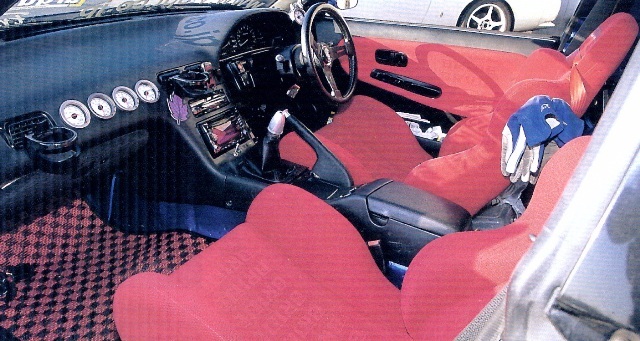 As for the interior, my immediate thinking was to go with an Itai/Ito vibe as I already had a pair of red seats on hand from the Aristo. 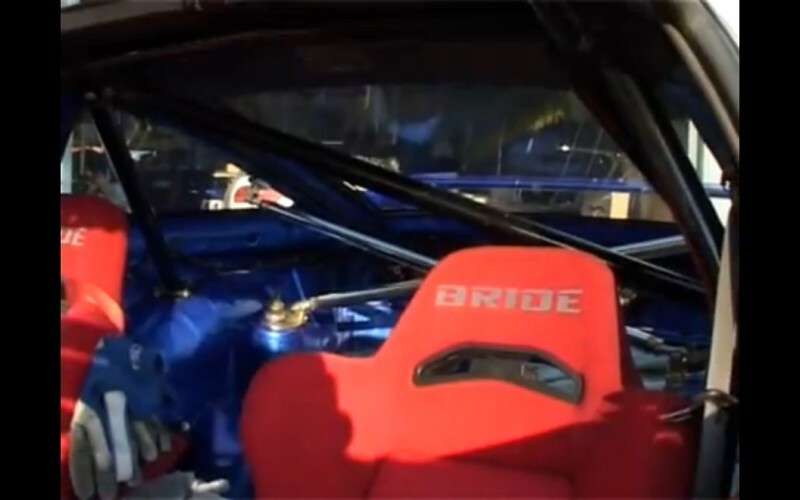 I was even considering replacing my seats with a pair of red Brix and adding the red bride fabric, stripped interior, pivot knob, gauges, and cage. About mid way through I decided I wanted to try black seats again to keep things a bit more simple. The car now has black seats and most of the interior is black, but that’s about the extent of the Koguchi influence here. There is still a heavy Itai influence with the steering wheel, meter placement, checkered floor mats, and NeXt Miracle cross bar in the back of the car. I also have a Sabelt harness like Ita’s that my friend Jimmy gave me. However, I decided to keep my interior panels in place aside from the rear seats. I would still like to add a Safety 21 cage and might consider going with the through dash version this time like Itai as I already cut my dash up to fit my gauges, but we’ll see. I would also like to add a DVD player sometime soon. 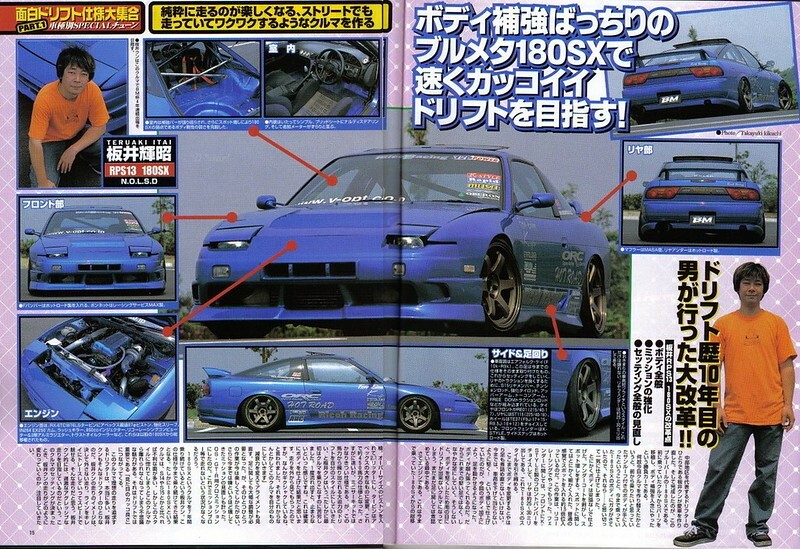 Now that the car is beginning to come together, it’s tempting to sway more towards an Itai or Koguchi specific replica. But at the same time, I really like taking aspects from lots of cool old 180s and picking the pieces I like to create my own car. 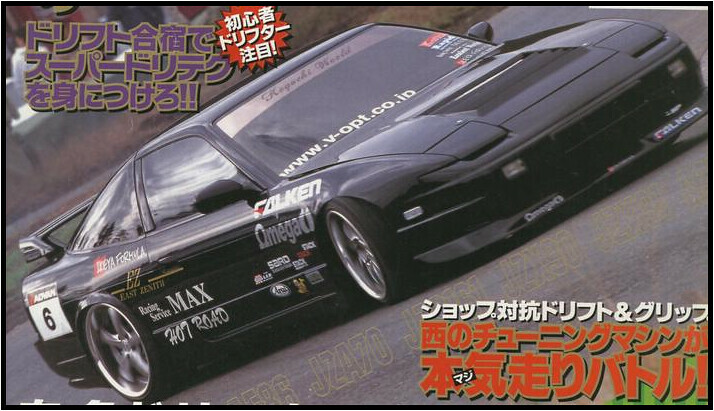 I posted this photo I found of Koguchi’s car last night and everyone told me I should run all of the same stickers he did. It’s a tempting proposition, but I don’t feel worthy of doing that in a lot of ways. My car isn’t nearly as close of a replica as it could be and I can’t drift, so I would sort of feel like a loser if I did that. It’s a really risky thing that I am just not sure would be cool or not. I also really like the body of my car without any vinyl on it, but I have never tried a livery before. I am too detail oriented and I know if I really was dedicated to a Koguchi replica, I would get sucked into trying to copy every interior and exterior detail. For the moment I am really happy with doing my own thing and choosing the things I like the best for the car. I am always on the fence with tinting my windows because I like being able to see my cool seats and bars from the outside. I am always worried about being hassled by cops because front window tint is illegal in Michigan, and I really don’t like the dark interior feeling I get from tinted windows, especially at night. 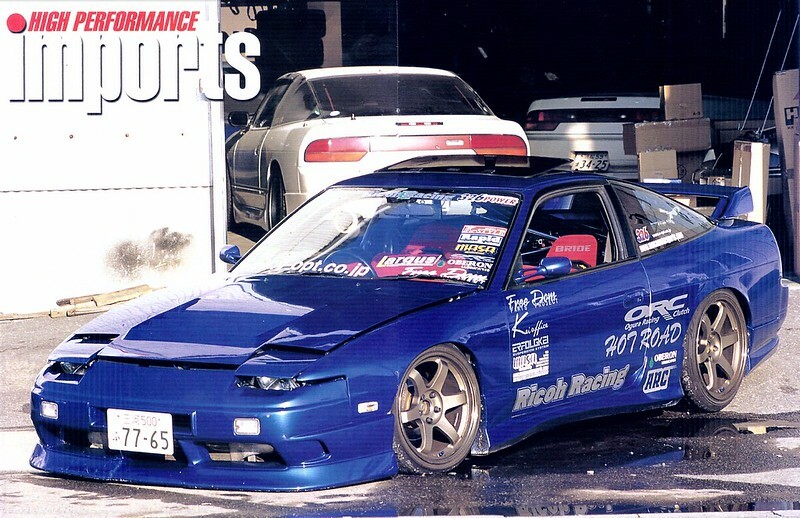 But I have to admit, Koguchi’s car does look SUPER cool with it. 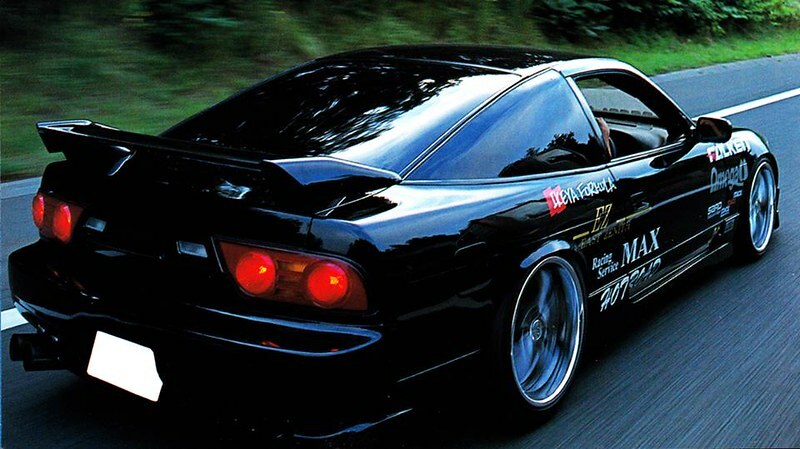 Part of me is always tempted to run OEM sides and rear like Koguchi did, but I always wanted to have Hot Road aero when I had the car years ago. 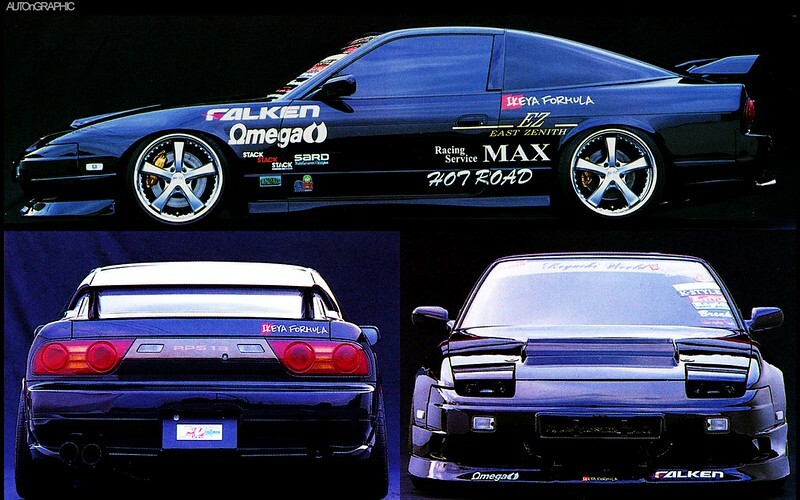 Ideally I would like to collect OEM Kouki aero over the next year or so, but keep the Hot Road kit as well. My hope is to repaint and restore this car someday when I can afford it and I would choose to have OEM aero again when I have that done. I haven’t decided what I am going to do about stickers. I will probably just run a couple on the window if anything at all, but maybe I’ll run a couple on the sides that pay homage to Itai and Koguchi at the same time. Really hard to decide. We’ll see! Anyway, that’s my rambling for today haha. Can’t wait to get this car on the ground next week!